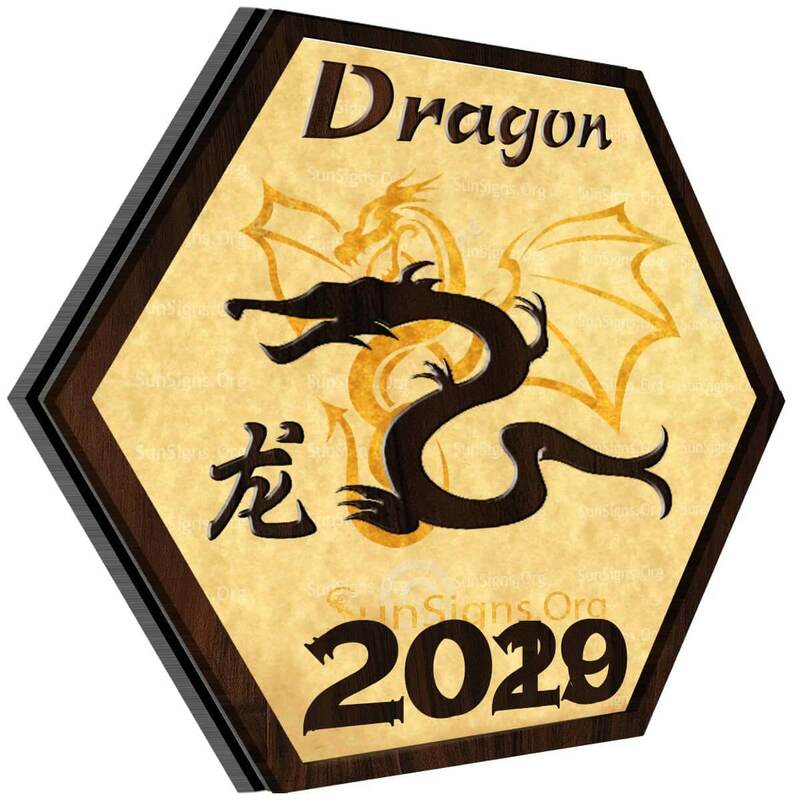 Home » Chinese Horoscopes 2020 » Dragon Horoscope 2020 – Free Astrology Predictions! Dragon Horoscope 2020 – Free Astrology Predictions! Dragon horoscope 2020 predicts that this year should be relatively tranquil for you. You will be more realistic this year. This will be able to help you out in many areas of your life in the 2020 year of the white metal rat. You may have troubles finding your motivation at times. But when you are motivated, you will be able to think clearly and plan for the future with ease. At times, you will have high energy levels, and these are the best times to work out or work on your goals. One strange thing about Chinese astrology is that one of the signs is a mythical creature. The fifth sign in the Chinese zodiac is the dragon. The Chinese dragon is a snake-like creature, but with legs. This usually has no wings, but it can still fly. Chinese dragons were said to be signs of good luck and prosperity. People who are born in the year of the dragon are said to be powerful, kind, friendly, lucky in all endeavors, and a bit narcissistic. These traits are sure to help out any person born in the year of the dragon with their horoscope for 2020! Chinese zodiac forecasts 2020 for dragon suggest this year you will have a relaxing relationship. But that doesn’t mean that it will be boring. Is 2020 lucky for the dragon? You are likely to be more spontaneous in the affairs of the heart. You will want to keep your partner on their toes this year. Keeping things exciting and new is a great way to make your relationship better. If you are single, then your spontaneity is a great way to find a new partner. Try new things, go to new places, and you are sure to meet some interesting people. So, will the dragon get married in 2020? Don’t be lazy in your relationships; talk things out when you need to. Make sure to trust yourself with your feelings, and try to trust your partner as well. Try to strengthen the bonds that you already have with your friends and family this year. When you are trying to make new friends, be yourself. You will not have good relationships if you go into them under pretenses. Don’t isolate yourself this year; let your social life flourish in 2020! There are chances for pregnancy too in this Chinese New year. Dragon 2020 predictions forecast that many new opportunities will come your way at work in 2020. This is a great time to schmooze to your superiors if you are looking for a promotion. This is also a great year to get along with your coworkers. As well as making new friends, your coworkers are likely to be able to help you out with projects at home. Plus, employers love people with great teamwork skills. Try to focus on one big goal at work in 2020, as well as continuing to work on whatever your superiors tell you to do in this 2020 year of the rat. There will be some aggravating unexpected expenses that the Chinese zodiac dragon will have to deal with this year. To prepare for this, try to pay off all of your past debts and save up money for the new one that is likely to come up. The more prepared you are, the less of a toll the expense will take on your budget. Saving for next year is also a wise idea. The more that you work out, the more healthy that you are likely to feel. However, you need to make sure that you do it often. So, making a schedule for yourself may also help. Keeping a food diary is also a great way to make sure that you are keeping your diet balanced. Dragon, try to reduce your stress levels throughout the year or else you will have a higher chance of falling ill in 2020. January 2020 is a month of good and difficult times. This is a period of learning from mistakes for the Dragon sign. February 2020 will be an encouraging month with everything working out in your favor at last. March 2020 will be better if you take everything that comes your way with a pinch of salt. April 2020 is another month that needs you to be alert and think twice before making any important decision. May 2020 is a time when you will need to go back and analyze all the issues that have been troubling you. June 2020 is a month when you feel that everything you do is correct. But don’t be over-confident. July 2020 is an excellent month when your dreams will become a reality. August 2020 is a month of hard work, effort, and patience if you want to achieve your goals. September 2020 will be an average month with its share of ups and downs. October 2020 will be a month when you should be prudent in saving and making the right friends. November 2020 is a great month for the Dragons. Whatever you touch will turn into gold. December 2020 is best spent with family. Stay away from unwanted quarrels and disputes. 2020 Feng Shui predictions for the dragon foretell that this is a good year and you can expect excellent money and education opportunities. Dragon horoscope 2020 predicts that this year is all about making yourself a better version of yourself. Advance in your career, in your social circles, or just in your mind. Do your best to make positive changes in your life this year, and don’t forget to take the opportunities that come your way. You are the only one who can directly change your life for the better, so do your best to do just that in 2020! Previous Rabbit Horoscope 2020 – Free Astrology Predictions! Next Snake Horoscope 2020 – Free Astrology Predictions!